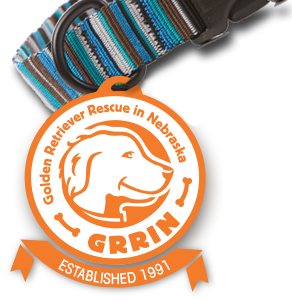 In October 2005, Gidgit, a beautiful, 2 year old GRRIN golden retriever chose us as “her people”. As “her people”, we were graced with 13 years (yes, she lived to be 15 years old) of immeasurable devotion and love from an energetic, a sometimes ditzy, blonde golden. The word that best described Gidgit was “happy”. 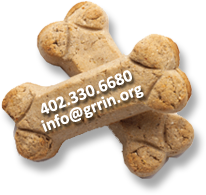 In almost every memory, Gidgit has that playful golden smile and a tail whipping at light speed. She was probably the happiest when she ran. Every witness to her giving chase (she only chased and never caught, so not end the game) marveled at her speed, strength and grace. All domestic animals loved Gidgit, especially our cat. She didn’t mind their attention but seldom reciprocated. Gidgit saved almost all of her love for “her people”. Learning the “rules” of pleasing took her almost no time – her basic commands, the do’s and don’ts of furniture, dinner manners and how to welcome friends – because that is what “her people” wanted. She would strategically place herself in the house to keep track of “her people” in different rooms. If her people moved, Gidgit moved. We never opened a door upon returning home without a beauty blocking the way, wagging her tail, excited that “her people” were next to her. When we open the door now and not have to fight past an ecstatic mountain of fur, we are a little sad. That sadness is overtaken by the memories of true happiness Gidgit gave us. Gidgit, thank you for choosing us. We love you. This entry was posted by GRRIN. Bookmark the permalink.